I have recently moved to Jersey with my wife, a strange choice in the eyes of many of my ex colleagues / clients / friends in the City who lambasted that it would be “boring”, “a backwater”, “no need for high quality recruitment” or “high quality professionals”. After having spent 3 months on the island, started a new boutique recruitment consultancy and settled into my surroundings – I always knew they would be wrong, but how wrong were they? They were MILES off. The stunning surroundings, lifestyle, beaches, bays and coves are incredible to be around in comparison to rushing around on tubes in London…But that is a discussion for a different day. Rather my current focus is on the incredible demand and war for talent I have witnessed since arriving here. I have been acquainting myself with the Trust / Funds industry over the last 2 years; researching the industry ahead of a move here. I anticipated that the niche skills developed by those in the industry would be plentiful and that should a business wish to recruit they would be spoiled for choice… This time I was MILES off. It seems that a combination of factors including a lack of investment in trainee’s throughout the dark days of ’07/’08/’09 have caused a real problem in 2016. That is to say that right now there is a lack of candidates who started out their career within Trust / Fund Administration / Accounting in that timeframe and are most likely to be Senior Officers / Assistant Managers / Managers now. Almost every business I come into contact with here in Jersey is keen to bring on new staff. Generally speaking this is at the Administrator – Manager level. I thought it would be worthwhile looking at this specific challenge to those parties who might be interested, and to offer some advice as to what you can do. Job titles: This is an age old problem for businesses looking to hire. On one hand you don’t want to over-egg the role and, on the other, you want to get the right person. I always urge having an element of flexibility if possible to ensure that you can attract candidates at the correct level. A slick hiring process: Fast feedback on applications, flexible interview times, fast decision making, working with the candidates and showing them what a great place XYZ Group is to work and why it is different to your competition. Similarly – an informal element to the interview process can often help to get a candidates buy in. Be that a lunch, coffee or drinks after work. Remuneration: In a tight market money often talks. It’s 100% appreciated that many businesses are tied to corporate bandings, budgets and level requirements – however it’s often worth asking the question; will spending an extra £2k a year save me money by getting someone better on board sooner? Create an enviable environment; The Big4 accountancy firms have nailed this for recent graduates, by creating an environment akin to an extension of university as opposed to dragging them into the working world and risking clock watchers! Similarly, some notable Jersey businesses have managed to emulate this. If you haven’t got social events, relevant training and a collegiate environment then hiring the most ambitious professionals will be a struggle. Hiring from professional services businesses; it’s widely known that the Big 4 accountancy firms offer second-to-none training and can be a fantastic place to hire new talent. Unfortunately – Trust & Fund Admin/Accounting are areas which (from what I’ve been told) are often considered as boring & “non value-add” to those coming out of the big 4. I know from having met bright, capable, ambitious and inspiring individuals who have made the transition or “grown up” in these industries that they are not and can offer the 3 things these candidates require: 1) career progression, 2) intellectual stimulation, 3) strong earning potential. There are many more ways to diversify your business and make it as attractive as possible to potential employees. 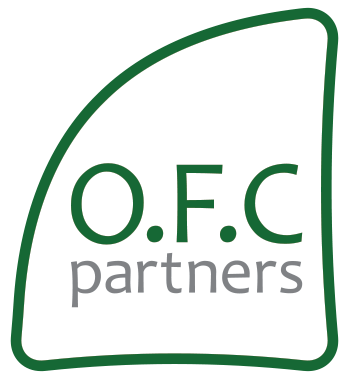 We can help – get in touch with OFC Partners today to learn about how you could make your organisation more attractive to potential candidates. Whilst it’s a tight market, employers won’t hire anyone and everyone just because they need to. Be open to opportunities: The market is full of roles at certain levels of the market. This can be daunting and could make you feel as though it’s “too much effort” or you start to narrow down on which roles you’ll apply for by using narrow-minded or irrational thought processes. So listen to the Recruitment Consultant who is talking to you and learn about the benefits of each role on merit and be open. If the job title is slightly wrong or there is one word which you don’t like in the JD, don’t just discount it. Businesses are often flexible on a lot more than you think. Secondly, your idea of “the perfect role” or what “you’re just not interested in” can often be changed when you meet face to face with a dynamic Manager or Director at a business… bear this in mind when thinking about your next step and closing off doors. Fail to prepare, prepare to fail: As cheesy as the old adage sounds, it rings true in the job hunting process. There are countless ways of enhancing your chances of success by properly preparing for an interview. We at OFC Partners have significant resources available to help you plan for and dominate in an interview. Figure out your motivations & perfect cultural fit: Every business, as similar as they sound, has a different corporate culture and attitude to it’s staff. You spend the majority of your life with your colleagues in your office, so make sure you know what you like / don’t like and learn to spot it in the interview process. Don’t be too greedy: Everyone wants to do as well as possible financially, it’s in our nature, however set the employers expectations at a reasonable level, try not to enter a bartering process and NEVER accept a counter offer (this is a whole other 1000 words!). If you start a business at a level which you and the business are satisfied, there will be room for growth and bonuses… if you negotiate too hard, this can leave a sour taste and your chances for promotion / bonuses are hit from day one. There are so many more ways to make yourself stick out as a candidate… get in touch with OFC Partners today and take advantage of our free resources to learn about how to give yourself the best chance of changing your life today. If you are a hiring manager and you wish to chat through how you could be hiring more efficiently, or you are a candidate considering how to maximise your chances of getting a new role… you know where I am.